The following is a sponsored post from Lexington Law. The opinions expressed are my own. Now that it’s been a several months since we all had to deal with the Equifax meltdown, it’s time to revisit the issue. The smoke has cleared and we can evaluate any needed next steps without the haze of urgency. Most of America has moved on, but not me. I still think of it from time to time and want to be sure my data is as safe as possible. Their main product to protect people from ID theft is called Lex OnTrack Identity Theft Protection. Geared towards consumers with high credit scores, to give them peace of mind their credit is safe through active identity theft monitoring and swift action should identity theft occur. Unlike its competitor LifeLock (which I have considered using) which only offers identity protection, Lex OnTrack is the only product on the market that combines both identity protection and credit repair. On one hand, $25 a month isn’t a small amount. On the other, if it avoids ID theft, it’s probably worth it. But more on that in a minute. For now, let’s move on to a related part of their business that I didn’t know much about. I don’t need credit repair but I know some reading this may. According to a 2013 study by the Federal Trade Commission (FTC), more than 40 million Americans have something that is incorrect on their credit report. While a late payment or derogatory mark from a creditor may seem harmless, it can have long-standing consequences, in some instances staying on your report for seven years. Improving one’s credit score may take time, but it can be done. Bad credit is not irrevocable. 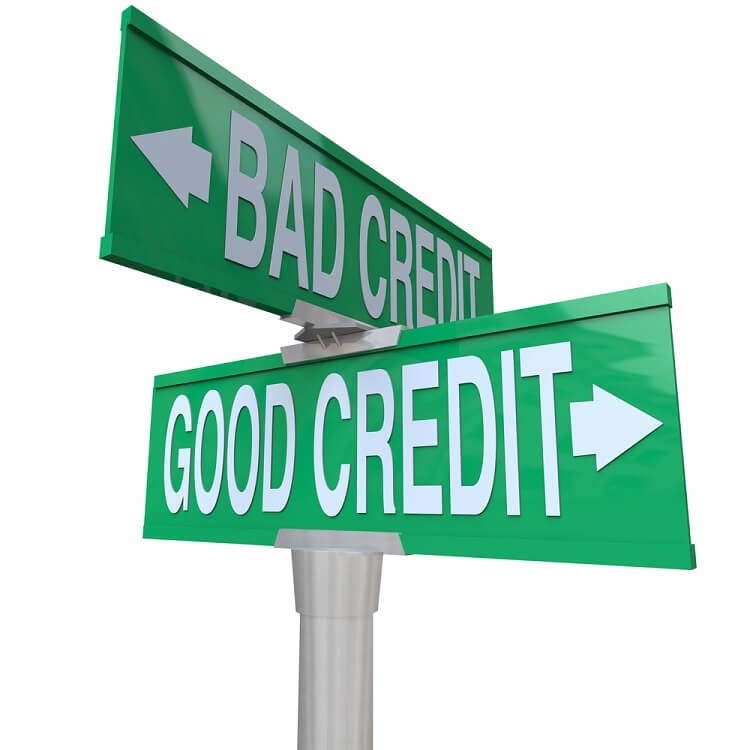 Every consumer has the right to good credit and the law is on their side to help them fix mistakes. The downside however, is that fixing errors isn’t always easy. Mistakes can take months to correct. Unfortunately, this often means people put goals, like buying a home or taking out a loan, on hold until their credit is better. Eight million Americans file credit claims yearly, for mistakes that are often discovered when making a big life purchase, such as buying a home. On average, these errors can take four months to correct. It is a process that takes diligence and knowledge. People do not always know how to fix errors on their own and in many cases, errors require specific expertise to get fixed. Lexington Law is the oldest and most respected name in credit repair. Before Lexington Law, the credit repair space was like the Wild West, with many companies claiming to provide credit repair services with few results to back up those claims. Lexington Law rose above the rest and spearheaded creation of a reputable, legal-based solution for the credit repair industry. Its team of lawyers have transformed the credit repair market, bringing their credit repair legal knowledge and expertise to the everyday consumer. Lexington Law is the only legal-backed credit repair resource for consumers. It is, at its core, a law firm. Lexington Law’s services have helped more than half a million consumers correct errors on their credit reports, such as bankruptcies, tax liens, late payments, and other items that cause bad credit. By providing consumers affordable access to the legal expertise and resources necessary to navigate the complexities of credit repair, Lexington Law has truly democratized the credit repair industry. Acts such as The Fair Credit Reporting Act (FCRA), Fair Credit Billing Act (FCBA), Fair Debt Collections Practices Act (FDCPA), The Servicemembers Civil Relief Act (SCRA), The Truth in Lending Act (TILA), and even the Health Insurance Portability and Accountability Act (HIPAA), give consumers the legal right to dispute inaccurate items on their credit reports with the credit bureaus and individual creditors. Lexington Law understands the complex consumer protection laws and helps everyday consumers understand their rights and use the law to fix credit errors. Lexington Law has helped more than half a million clients remove negative items — more than any of their competitors. It’s actually kind of scary to know that credit reports can be so messed up that you have to hire a service to repair them for you. Yikes! Premier Plus ($119.95/monthly): Lexington Law’s most aggressive, comprehensive support option, this package complements essential credit repair services with FICO® Score tracking and analysis, identity protection and insurance, a personal financial management tool, and client care from start to finish, including regular updates and alerts. Concord Premier ($99.95/monthly): The most popular of Lexington Law’s service levels, this package includes credit monitoring, alerts when credit reports are updated, a monthly credit score improvement analysis, and access to Inquiry Assist, which gives clients the resources to address score-damaging credit report inquiries. Concord Standard ($79.95/monthly): Covering the essentials of credit report repair, Lexington Law will communicate with both creditors and the credit bureaus on a person’s behalf to ensure fair, accurate, and substantiated credit reports. This is whole new territory for me. I didn’t know people needed much less paid for this sort of service. So with that said, let me turn it over to you. What do you know/think about these services — both the ID protection and the credit repair? Do you use these? Why or why not? I got hacked in the Anthem Blue Cross breach. Blue Cross paid for AllClear ID for 2 years. I have continued it since, plus have frozen credit at the big three plus Chex Systems and one other which I forget now. They send me a report monthly and will call me if there is any breach, plus it covers $1 million in credit repair fees. After 4 years I am pleased with them. When Equifax was hacked we took the step of freezing our credit with each of 4 largest credit companies. As you mention, it’s a pain to have done it, as we have looked at adding a Costco visa since the hack, but decided it was not worth the cost or effort to unfreeze our credit. Additionally, we looked at some identity theft companies/products, including Lifelock. In the end I couldn’t find a service that really did a quality job, so we’ve been doing all the monitoring on our own (e.g., free credit reports and the credit freeze). Recently we were offered the chance to begin using a product called Identity Force. In simplest terms Identify Force is similar to Lifelock, but I believe the offer a broader selection of ways to monitor your identity (including social media). They use an algorithm to monitor chat rooms and other dark web areas that traffic in illegal information. They offer an app as well that allows you to monitor alerts as they crop up. So far (2 weeks in), the service appears solid and adds another layer of protection for us. Best of all, the firm that handles our investments and planning pays for the service. I believe they offer a family plan for $249/year, which covers you/your spouse and any children under 26 years of age. I’m looking forward to learning more about Identity Force as we continue to put it to use.